So you’re about to start your car shopping journey. It can seem like it takes forever – you do a ton of research, explore your options online, read reviews, and finally choose a dealership so you can go check the car out. Are you exhausted yet? Some people think that doing research online is enough to make their final decision, but Toyota of Orlando is here to beg to differ. We know that some car dealers allow you to shop online and will drop the car in your driveway faster than Amazon Prime, but you’re missing out on a vital part of the process. Before you let the ink dry on the dotted line, you HAVE to get behind the wheel for a test drive, and we’re here to tell you why. Why is a test drive so necessary? Reason #1: You can see if it’s comfortable. You want to make sure the car you choose is comfortable – after all, you’ll be spending a lot of time in the driver’s seat. That’s why a test drive is important. You can hop behind the wheel and make sure it’s comfy, and you can check to see that you can easily reach all the knobs, dials, and buttons you need access to. You can also check for blind spots and make sure that the backseat is big enough for your passenger load and any car seats or booster seats you’ll need to install. Reason #2: You can do a little inspection. If you take a test drive before you sign the dotted line, you can conduct a quick inspection of the car. This means things like checking the cabin for stains, smells, or damage to the fabrics and trim. You can also examine the exterior for any body damage or signs of an accident and you can pop the hood and check under the car to look for damage or leaks. Finally, you can get the car up and running so you can listen for odd sounds and be on the lookout for weird odors. Reason #3: You can check out how the car handles. When you get behind the wheel and hit the road, you get your shot to see how the car handles. Does it have the acceleration you want? How does it feel when it brakes? Can you take turns the way you want? What about parking – is it easy to park in both perpendicular and parallel spots? Reason #4: You still have room to change your mind and explore other options. If you climb into the driver’s seat and decide this ride isn’t for you, you can walk away… and you’ve got a whole lot full of other options at Toyota of Orlando. Our product specialists can show you to other vehicles that are similar to the one you initially chose but might be a better fit. Reason #5: You can ask more questions and get better answers. If you visit our Orlando Toyota dealership in person, you can ask our sales and product specialists in-depth questions about the car during the test drive and they can show you the answers in person… which is a lot more informative and helpful than chatting online. Are YOU ready to take your test drive? 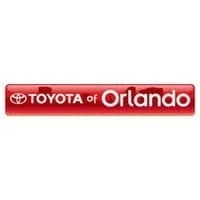 Schedule it today at Toyota of Orlando – call (407) 298-4500.